We’ll understand your business like the partner you never knew you had. You’re the expert on your business. So as Web marketing consultants, we probe with questions for a comprehensive 360-degree understanding of your business. We get you thinking in a new way about who you are and how to effectively communicate your unique selling proposition through your website. We spend time listening, learning and strategizing. The Discovery phase goes to the depth of true partnership. Extensive time up front gets to what’s important. We won’t move forward until we understand the audience, conceptualize the overall message and tone, formulate the plan, plot out the details and put together the right team. a design brief outlining your goals, audience, demographics, psychographics, design preferences, etc. What are the main goals of your website? 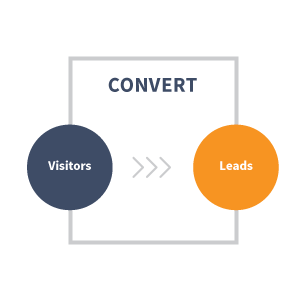 Do you want new leads, sales, or to simply establish professional credibility through your website? Is your goal to expand your business borders, build your reputation, or provide an online brochure or portfolio for current customers? What is the first impression you want people to have when they visit your site? Would you like to appear bigger and more corporate, or approachable and personal? Can we help you reduce your operating expenses, improve efficiency, or automate processes? These questions drive every decision we make about your website marketing, design, content, messaging, voice, style and functionality. Getting through to your audience is the ultimate goal and each step needs to support that goal. We’ll look at demographics, psychographics and profiles of your target markets. Together we’ll analyze the reason they came to your website. We’ll talk about the problems you can help them solve and how to solve them. We’ll segment your customers so we can target them specifically, with pages focused around their needs. Ultimately, we’ll work to earn their trust. What words would prospective customers use when searching for your company? If you’re going to be found in online searches, we’ll need to know the terms a layperson would use to find you online. Keyword research will help us to understand the exact phrases that real people use when they search for your products or services, how competitive those terms are in your geographic market, and how we can build content around the most effective terms to attract qualified visitors. Understanding your unique niche and what differentiates your company from others sets the groundwork for your strategy development and messaging. We want to emphasize your strengths and minimize your weaknesses. 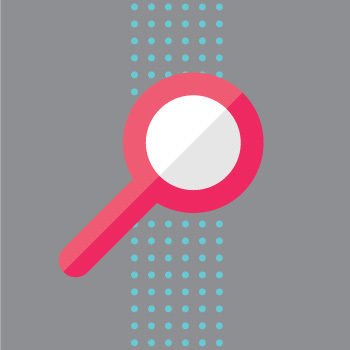 We use competitive intelligence to see exactly what your competitors are up to. We'll share which keywords they are optimized for; how much they spend on paid search; how much traffic they are attracting; the campaigns they are running, and how well they communicate their message. By understanding the competitive landscape, we can evaluate the opportunities and challenges and create a plan that is focused and realistic within your industry. Ready to Tackle a Website Redesign? Know what to ask and how to write an RFP that will attract the design firms that you want. 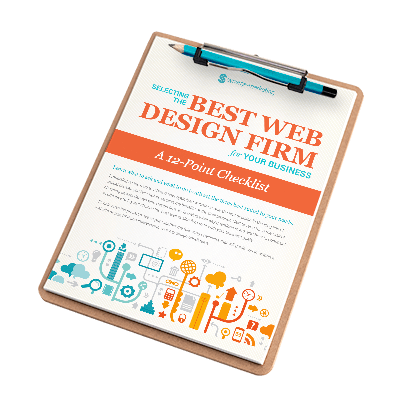 Download the 12 Point Checklist for Selecting the Best Web Design Firm.